The Cathedral Choir was back in the stalls for the Epiphany Term on Monday 9 January, eager to begin singing again and with some very exciting music on the horizon. 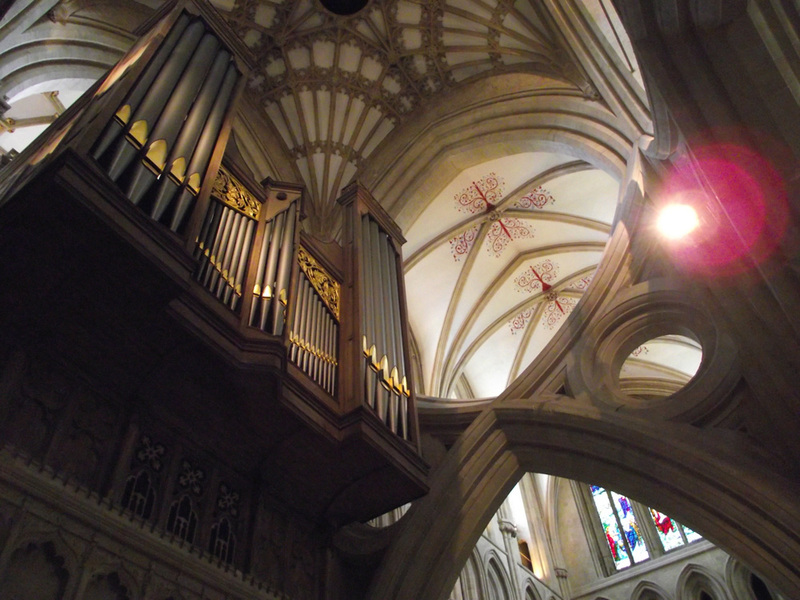 However, there was one significant absence – the sound of the Cathedral organ! We are fortunate to have a very dedicated Voluntary Choir in Wells, which sings when the Cathedral Choir is on vacation. While they were singing at the Cathedral Eucharist on Sunday 7 January, their organist, Ashley Marshfield, suddenly found that most of the organ had stopped working, and the Virgers found it was necessary to turn off the power to the main blower. Maintaining large cathedral organs is a demanding job, in terms of time and money. As time passes, our organ is increasingly showing the signs of its age and, even despite the care and maintenance provided by Harrison and Harrison Organ Builders and Stewart Fothergill Engineers, problems still occur. The organ will be out of action for at least two weeks awaiting diagnosis of the root cause and then restoring its functionality. We are extremely grateful to David Mason at Viscount Classical Organs, who had a two-manual digital instrument installed in the Cathedral in less than twenty-four hours. This means that the services can continue as normal while the Cathedral organ is being repaired, and the Cathedral Choir can continue as planned with the repertoire for the term. Addendum: We're very pleased to announce that as of today, Monday 22 January, the organ has been fully repaired and is once again in fine voice!